If burying a child has a special poignancy, the tragedy at a Catholic elementary school in Chicago almost fifty years ago was an extraordinary moment of grief. One of the deadliest fires in American history, it took the lives of ninety-two children and three nuns at Our Lady of the Angels School, left many families physically and psychologically scarred for life, and destroyed a close-knit working-class neighborhood. This is the moving story of that fire and its consequences, written by two journalists who have been obsessed with the events of that terrible day in December 1958. It is a story of ordinary people caught up in a disaster that shocked the nation. In gripping detail, those who were there-children, teachers, firefighters-describe the fear, desperation, and panic that prevailed in and around the stricken school building on that cold Monday afternoon. 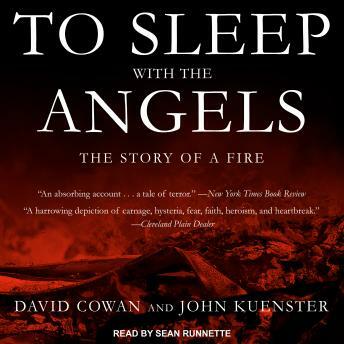 But beyond the flames, the story of the fire at Our Lady of the Angels became an enigma whose mystery has deepened with time: its cause was never officially explained despite evidence that it had been intentionally set by a troubled student at the school.